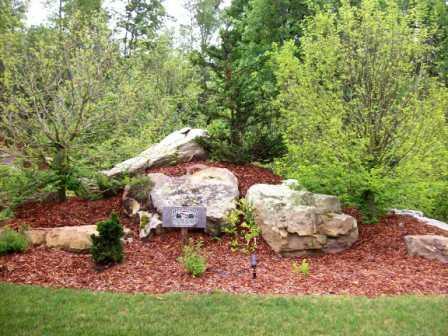 Mulch serves several functions in our landscapes. 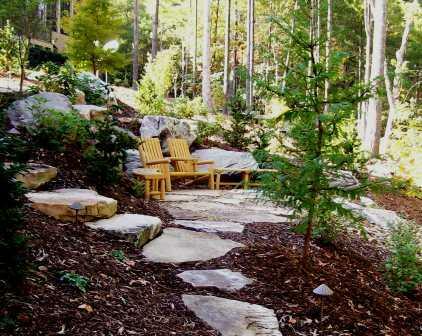 Newly installed landscapes do not grow very much for the first year. We are basically just trying to get them to survive the first summer. No matter when they are planted we have to get them thru those July and August dog days. We do not add lots of compost and organic matter to our landscapes because we have to mulch anyway to cover the exposed soil. The first year the mulch breaks down quickly and builds the topsoil. So about the time that the plants are ready to start growing the root zone is improving naturally. 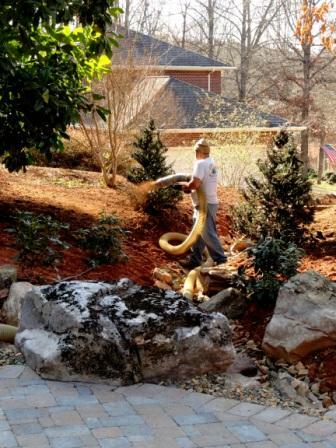 It also helps with keeping weeds down and makes landscapes easier and more cost effective to maintain.